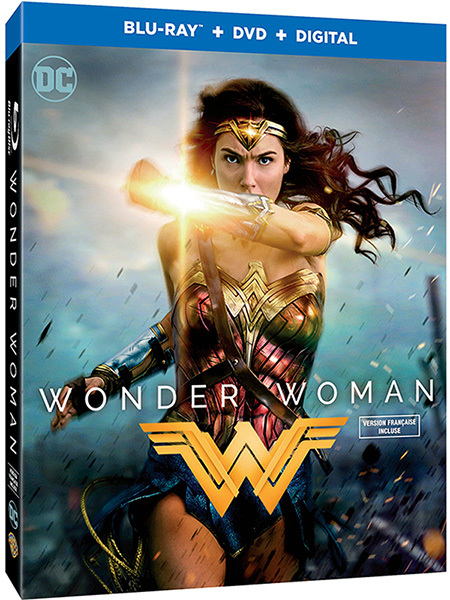 To celebrate the release of global blockbuster WONDER WOMAN we are giving our readers and fans a chance to win a Blu-ray Combo Pack! Celebrate the princess who becomes the World’s Greatest Super Heroine! Before she was Wonder Woman, she was Diana, princess of the Amazons. Fighting alongside man in a war to end all wars, Diana will discover her full powers…and her true destiny. Starring the talents of Gal Gadot, Chris Pine, Robin Wright, Danny Huston, David Thewlis and Connie Nielsen. Make sure to follow the excitement on the official #WonderWoman Facebook and Twitter feeds. CONTEST RULES: No purchase necessary. Contest entry deadline is Sept 26, 2017, midnight EST. Number of entries limited to one entry per person/email address per hour. Competition open to residents of Canada excluding residents of Quebec. Void where prohibited. Entrants must be at least 13 years of age (or older if required by the laws of the province or state in which you reside.) Ineligible entrants include all employees of Faze Media Group companies, Warner Bros companies, their families, agents or anyone professionally associated with the administration of this promotion. Completed entries will be entered into a random draw for eight (8) prize winners. Chances of winning depend upon the total number of entries. Prize winners will be notified within 2 business days of closing date of the contest. Any unclaimed prizes will be forfeited after one month of the closing date. There is no substitution available and no cash alternative. The prize for the competition has a suggested retail value of $30. Items may not be exactly as shown or described.